Vaccinations are important to maintain good health for cats, dogs and rabbits. There are a number of diseases that we vaccinate against on an Annual basis. 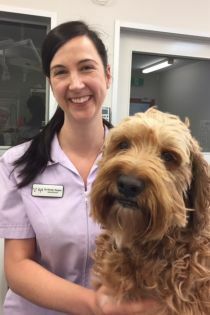 No longer is there just one Vaccination protocol but rather, Vaccination programs are tailored to your pet’s individual needs. All adult dogs are covered with a C5 Vaccination – an Extended Duration Vaccination against Distemper, Parvovirus and Hepatitis (C3) every 3 years in addition to their Annual Canine Cough Vaccination. We recommend that all outdoor cats to be vaccinated against Feline Aids. All adult cats receive an Annual F3 Vaccination. Rabbits require vaccination against Calicivirus. Young rabbits require 2 vaccinations, 1 month apart after 12 weeks of age, then a booster vaccination every 6 months. Unfortunately there is no vaccination against Myxomatosis. We make sure your pet’s vaccinations are up to date by sending out reminders by email!